On Friday, medical students looking to complete their residencies in the U.S. will learn where they'll spend their next few years. Match Day is always full of anxiety, but this year, there's added fear as international students worry about how the Trump administration's recent actions on immigration will affect their medical training. Just last week, President Donald Trump issued a revised executive order that prohibits issuing new visas to citizens of six majority-Muslim nations for 90 days, beginning March 16: Iran, Libya, Somalia, Sudan, Syria and Yemen. Although the administration included Iraq in the original order, which was blocked in federal court, it is not on the revised list. Having fewer medical graduates able to practice in the U.S. could deplete staffing in underserved rural or urban areas. Those areas often depend on international medical graduates to fill residencies; and many of those doctors often serve as primary-care physicians. International medical graduates represent roughly 25% of the U.S. physician workforce. Hospitals already have reported that staffers have been refused re-entry into the U.S. after travel abroad. Several states have challenged the order in court. The National Resident Matching Program doesn't collect citizenship data. However, the Educational Commission for Foreign Medical Graduates, which provides certification for both U.S. and non-U.S. citizens, does. The commission has identified 850 international medical graduates in the current match process who are citizens of the six countries identified in the executive order. The commission believes that about 100 to 400 who are matched won't be able to gain entry into the country under the order. The remaining students have another immigration status, such as refugee or asylum status, or conditional permanent residency that will likely allow them to gain entry into the U.S. despite the order. Even if the order isn't extended past its current 90-day window, the “extreme vetting” promised by the Trump administration could slow down the visa application process for first-year residents, who begin their programs in July, said Dr. William Pinsky, CEO of the commission. That could affect any foreign medical graduate, not just those from the six banned countries. 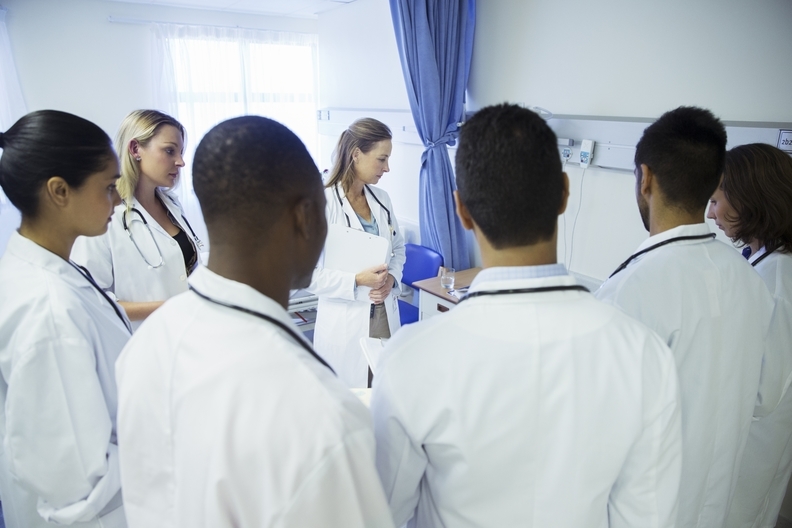 The uncertainty could also have dissuaded U.S. residency directors from choosing international medical graduates to fill their spots and likely caused many to rank residents from the six banned countries lower in their choices for the match program. U.S. Citizenship and Immigration Services recently took action to suspend for six months the expedited review of H-1B visas given to many foreign professionals. Some training hospitals petition for H-1Bs for their residents and fellows so they can work in the U.S. after their residency and don't have to go back to their home country for two years after their program, which is required under the J-1 immigration status that most residents and fellows initially fall under. All these actions will hurt health systems looking to fill physician spots, said Brian Groves, director of the international students and scholars office at the University of California at San Francisco, which has one of the country's top academic medical centers. “To not be able to predict our capabilities for training and teaching, it threatens UCSF and U.S. pre-eminence in healthcare and research,” Groves said. Roughly 20% of physicians in Centennial, Colo.-based Centura Health's rural facilities are international medical graduates, said Dr. Scott Ellner, CEO of Centura's physician group. The system has also seen more primary-care residency spots being filled by foreign medical graduates. U.S. graduates tend to be more interested in specialty residencies because they pay better. Foreign physicians are “critical” for Centura to be able to have doctors in nearly 50 clinics in rural areas of southern Colorado and western Kansas, where American physicians are not necessarily interested in living, Ellner said. Atul Grover, executive vice president of the Association of American Medical Colleges, said the issue of limiting physician immigration goes beyond solving doctor shortages. If the U.S. wants to maintain its prominence as a global healthcare leader, it needs to pick from the best and the brightest medical students in the world, and it needs to be able to recruit physicians who serve its many ethnic communities, he said.